Dr. Jack Shirley received his DDS degree from The University of Texas Health Science Center at San Antonio Dental School in 1979. Since then, he has been in private dental practice in San Antonio, where he lives with his wife, Nancy. They have two grown children. 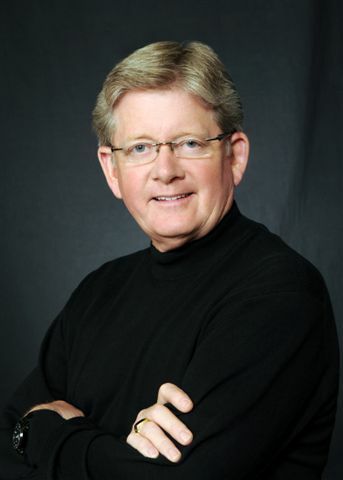 Dr. Jack Shirley is a nationally recognized dentist. He welcomes patients who need only preventive and maintenance care; patients who have significant dental needs—including TMJ disorders, missing teeth, cracked teeth, and advanced dental or periodontal disease; and patients who want to change the appearance of their smile. He has extensive postgraduate training and experience in occlusion, the treatment of complex dental cases, and cosmetic dentistry. His expertise has placed him on the speakers’ podium at many dental meetings, and he trains other dentists in the art of fine dentistry that lasts. He is both compassionate and friendly, and takes time with each patient to understand her or his oral health circumstances and goals. His comprehensive examination and study of your oral health is thorough and designed to facilitate an accurate diagnosis of any problems and assist him in planning the most appropriate preventive and restorative treatment for you. This personalized approach helps ensure the fine dentistry you deserve will be predictably achieved and long lasting. Dr. Shirley has a passion for dental education and a strong desire to help his colleagues reach their full potential as comprehensive restorative and cosmetic dentists. Currently, he is a visiting faculty member for the continuing education department of the University of Texas Dental School at San Antonio. He is the past President of The L. D. Pankey Dental Foundation, the nonprofit board of The Pankey Institute for Advanced Dental Education in Key Biscayne, Florida, and served on the Pankey visiting faculty for 18 years. He is member of the American Academy of Fixed Prosthodontics, the International Academy for Dental Facial Esthetics, the American College of Dentists, the International College of Dentists, the Academy of International Dentists, the American Dental Association, and the Texas Dental Association. He can be heard at numerous dental meetings, speaking about comprehensive care dentistry, solving complex dental problems, and functional esthetic dentistry. Dr. Shirley is involved in dental missionary work throughout the world, having served with Food for the Hungry in Africa, the Southern Baptists in Brazil, Frontier Laborers for Christ in Thailand, and locally in San Antonio.